just move in and enjoy. 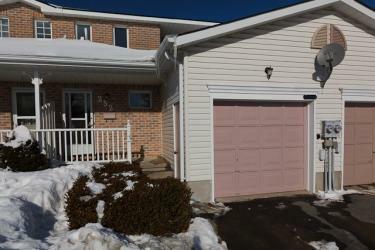 immaculately maintained three bedroom townhome centrally located to schools, bus route and shopping. freshly painted with neutral dcor and other updates include rich dark laminate flooring, fixtures, banister and kitchen backsplash all for your enjoyment. tranquil setting backing on to green space.